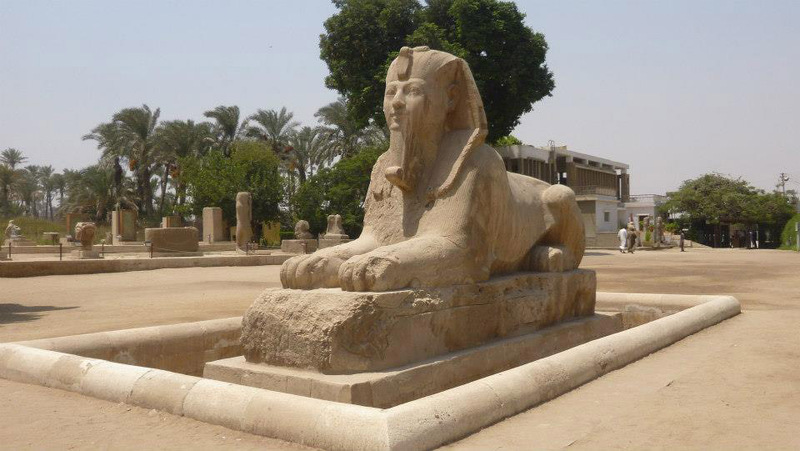 Cairo guide to the ancient pharaonic monuments of the area will introduce you not only to the Pyramids of Giza but will also lead you through Saqqara & Memphis necropolises to Dashur and Meidum pyramids. Giza plateau, pyramid of Khefren. Funerary temple at the bottom of Step Pyramid. Pyramid of Unas at Saqqara. Inside workers tomb at Giza. Egypt was the first state to establish a system of administration and a capital with administrative and religious centers. King Narmer, the unifier of upper and lower Egypt 3200 B.C., had chosen Memphis (22 km south from modern Cairo) to be a capital of Egypt. Since that time the capital city of Egypt has been changed throughout the history from Ahnasia, Thebes ( Luxor ) to Alexandria. But when the Islam was introduced to Egypt, Amer Ebn Alas founded Al-Fustat in 641 A.D. and had chosen to be a capital of Egypt. 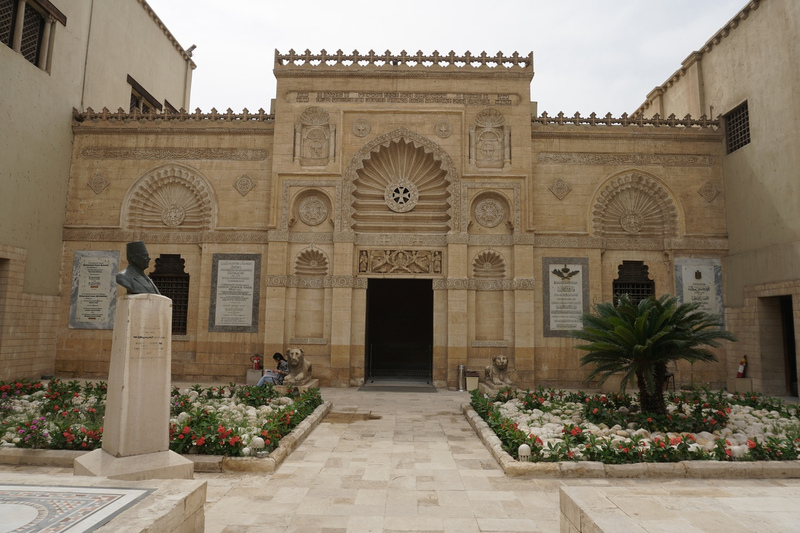 Gohar Al Sikkily founded Cairo in 969 A.D. beside Al-Fustat. Cairo now is the capital city of Egypt, with more than 20 million inhabitants. In this part of the guide let’s explore Ancient Egyptian sites that can be reached during one day Cairo tour from most of Red Sea Resorts . And let’s start from the 1st capital of the Ancient Egyptian civilization known as Memphis , which must have been one of the largest cities in the ancient world. But very little now still remains of original Memphis which once contained two large enclosures: the northern one was the palace of the king, and the southern one – the temple of the god Ptah, the god of Memphis. After Memphis let’s move to Saqqara complex and explore the area which includes beside the Step Pyramid of King Djoser some less known pyramids like pyramid of Unas or Userkaf, as well as pyramid of Teti and his tomb. Many tombs of Nobels have been discovered in the area and now open to public, as well as the Serapeum – the tomb of the sacred Apis bull is back on the touristic trap. But let’s start our exploration with a visit to a small, but really informative Imhotep museum which was inaugurated in 2006 and is totally dedicated to the many discoveries from Saqqara area. Now time to move further south and explore Dashur, the southernmost section of the Memphis necropolis. It is situated around 10 km south of Saqqara and was the place, chosen by the king Sneferu (father of Cheops), founder of the 4th Dynasty for the construction of the 1st true pyramid in the history. Dashur contains 3 mud brick pyramids from the Middle Kingdom (12 Dynasty), built by Amenemhat II, Senusert III and Amenemhat III. But the main attractions of the site are the 2 pyramids built by Sneferu – The Red Pyramid and the Bent Pyramid , the 1st true pyramid built in Egypt. The site of Dashur was open to public only in 1996 and now only 2 pyramids can be visited The Red Pyramid and the Bent Pyramid. As for the Red Pyramid, it is fully accessed so we will use the chance to enter it and see the burial chamber. About 50 km south of Dashur lies the archeological site of Meidum. The pyramid there represents the transition between step and true pyramids, Sneferu began a seven-level stepped pyramid and later transformed it into a true pyramid with the addition of limestone slab casting. Later stone robbery caused some of the outer layers of the upper part to collapse, leaving the true pyramid intact at the bottom. Before Sneferu’s death the 3 lowest steps were filled in to form the smooth edges of a classical pyramid. Today only the 3 highest steps are visible above the shifting sands. The entrance on the north side of the pyramid is located at a height of 18.5 meters and leads to descending corridor, which leads to the burial chamber with its projecting vault. This is the first pyramid with an above ground burial chamber just above the 1st step level. Unfortunately no trace of a sarcophagus has been found, but relieving chambers have been now discovered. A small mortuary temple chapel was built on the east side with 2 stelae, although a large causeway survives, the valley temple has never been excavated. Unfortunately Meidun archaeological site is not tourists accessible for now and all we can see is the outlines of the main pyramid from the site of Dashur. So let’s go back to the city and explore Giza plateau instead. But before heading to the most excited place in Cairo, let’s have a look at the Egyptian Museum of Antiquities and get acquainted with the artefacts which were discovered in Egypt during all these years of excavation.